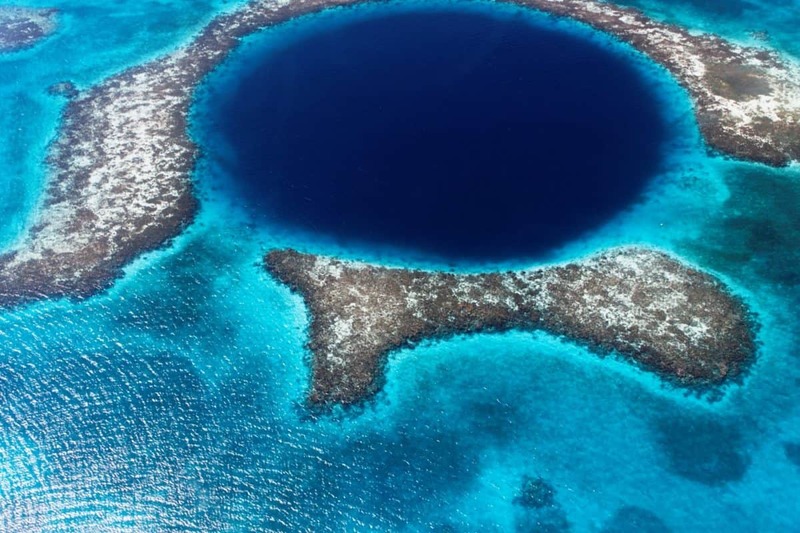 Belize is well known as a dream destination for scuba divers. 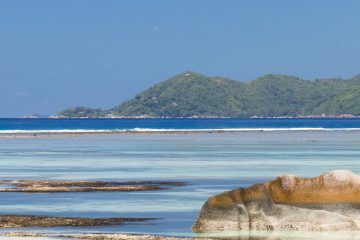 This tiny nation is home to more than 400 beautiful islands and the longest unbroken barrier reef in the Western Hemisphere. 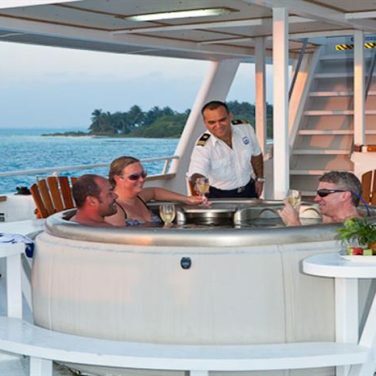 While any number of coastal resorts will help you enjoy your trip, why not make the most of your time in this little diving powerhouse, and book a trip on a Belize liveaboard? 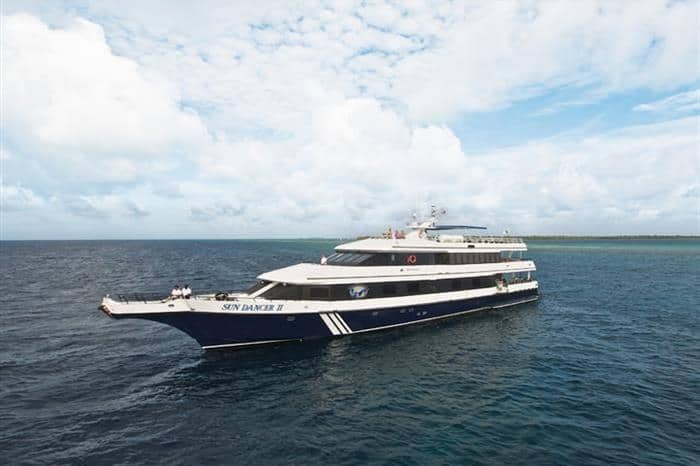 Whether you’re a beginner, intermediate, or advanced diver, a Belize liveaboard experience will give you unrivaled access to some of the best dive sites in the Caribbean, such as the Turneffe Island and Lighthouse Reef Atolls. By staying onboard, you’ll be right near the action, and able to experience even more of the great marine diversity. 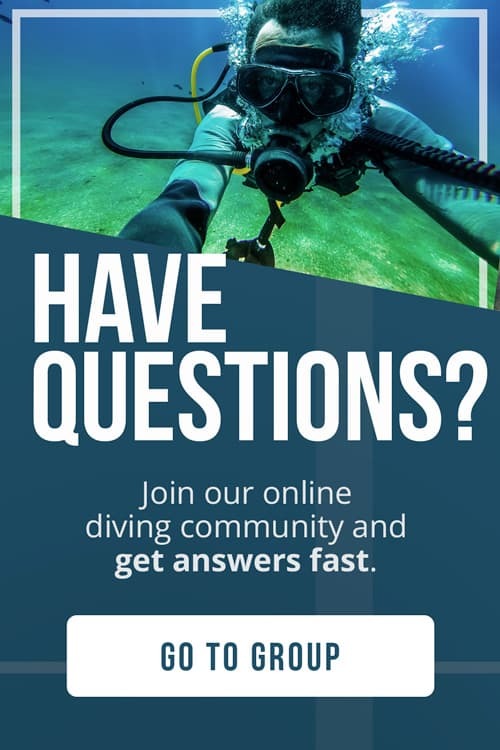 Don’t spend any of your precious dive time traveling to and from sites. The Adventure Junkies will help you pick the right liveaboard for your adventure. The Belize Aggressor III is 110 feet (33.528m) long and 72 feet (22m) wide. With room for 18 divers and a crew of 6, it’s a perfect size for small to medium-sized groups. 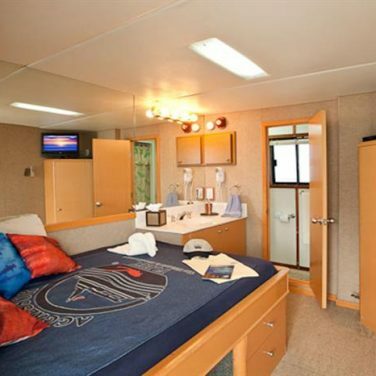 The Aggressor III has nine cabins, each including a private head and shower and TV/DVD. 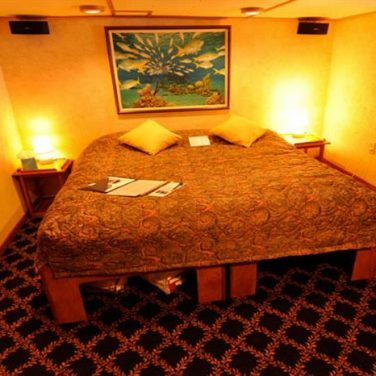 You can book a master stateroom, deluxe stateroom and deluxe stateroom bunk style. When you’re not diving or sleeping, you can enjoy Karaoke, movies, a library, and a sun deck complete with hot tub and bar service. Enjoy local food and all-inclusive beverages, including beer and wine. You’ll store your dive equipment in a personal locker, and enjoy fresh water showers on the back deck after your diving for the day is complete. Photo equipment is available to rent, and a large camera table and charging station will keep you ready to capture amazing memories of your underwater adventure. 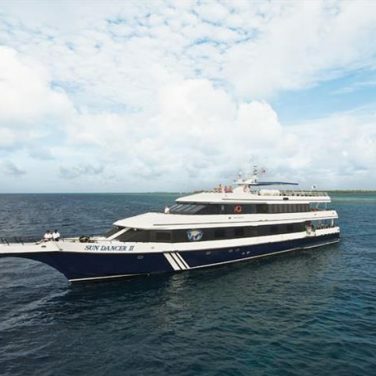 The Belize Aggressor IV is 138 feet (42m) long and 26 feet (8m) wide. 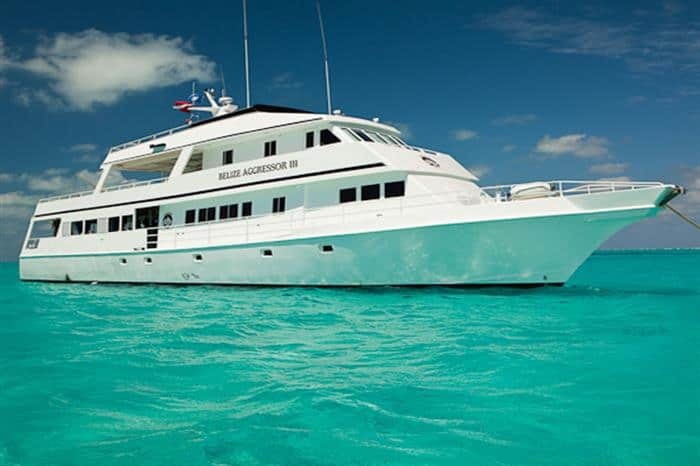 The Aggressor IV welcomes up to 20 guests, offering the choice between 8 deluxe staterooms with twin or king beds, or 2 master staterooms with queen beds. All rooms are individually climate controlled. The Aggressor IV also provides a great place to relax when you’re above the water. 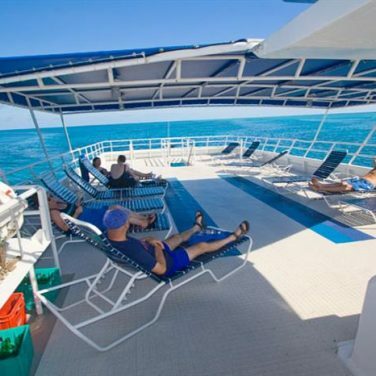 Enjoy some down time on the sun deck, with deck chairs, stereo, shaded wet bar, grill and photo center. The Aggressor IV has a huge dive deck with bins to hold your gear, rinse tanks and a three-tiered camera table. If you’re traveling with a group, you’ll need to know how much space you need. While both Belize liveaboards are well-sized for a medium to large group, you may not be the only ones reserving a cabin. Plan ahead and keep in mind that larger groups will need to reserve farther in advance. 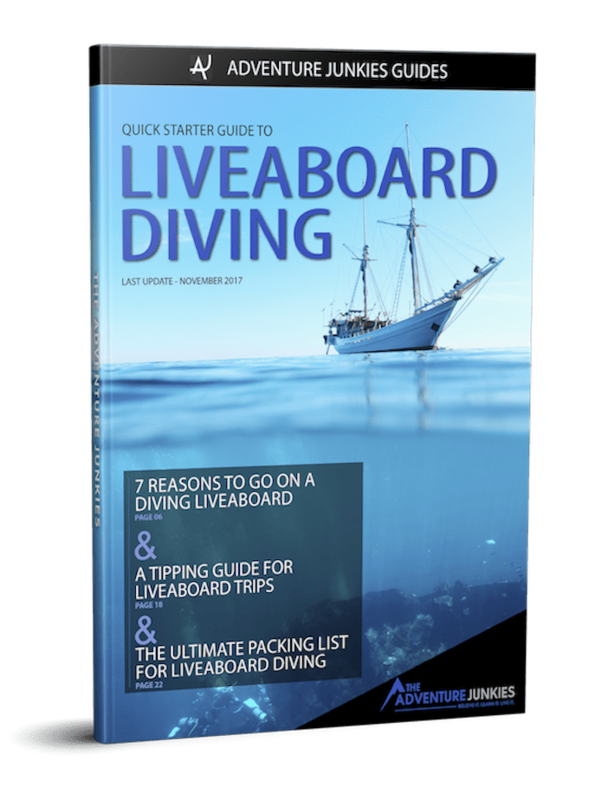 If you’re planning a trip with a large group, knowing the liveaboard capacities ahead of time can save you some heartache. Make sure you don’t sign up more people than your sailing castle can hold. 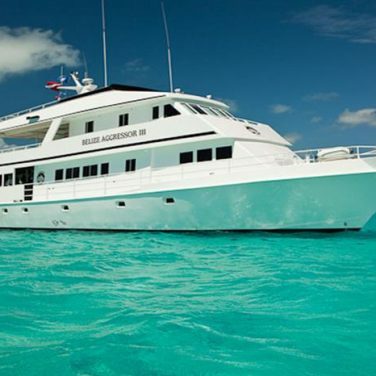 Liveaboards offer the ultimate in convenience when it comes to planning your dive trip. While you may pay extra for gear or nitrox, with food and lodging all included, you’re not likely to spend beyond your meal budget by wandering off to the latest hot spot in town. That said, the cost of a liveaboard vacation isn’t low. Costs typically range from $250-$300 USD/person, per day, depending on the season and duration of your trip. Subscribe to our weekly deals newsletter to get the best special offers delivered straight to your inbox. One great feature of a liveaboard is built-in camera stations to clean and care for your underwater photography equipment. Whether you’re new to the world of underwater images, or you’re an experienced photographer, taking your camera – in a water-safe housing, of course – into the deep can produce incredible images. Check out our guide on how to take great pictures underwater if you want to level up your skills. Regardless of which liveaboard you select, be sure you understand all of your camera gear and how to care for it before you travel. Knowing what type of charging stations, rinse stations, and gear storage is available will help you pack effectively for your trip and make sure you have all of the right pieces to capture some incredible moments beneath the seas. Belize has the great feature of being dive-ready for most of the year. According to Dive-The-World, you can actually dive in Belize during any season. That said, April until June is typically considered peak season. 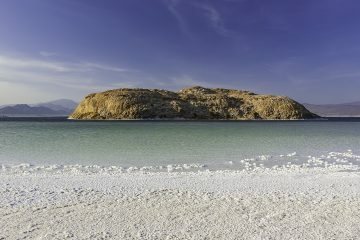 This is when the weather will be most dry, and generally you’ll find the most tourism in during this part of the year. However, you can still dive during the rainy season, from late June through November. It’s rare to get more than a few days of rain in a row, and you’ll be underwater where the views aren’t impacted by the rain. 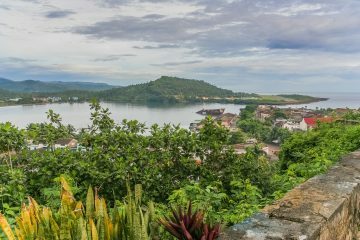 If you are traveling via liveaboard, you’ll want to pack your motion sickness medicine, however — in the rainy season, the water can be a bit more rough than during the dry months. The other factor when it comes to planning your trip is the wildlife you want to see! Just like land creatures, aquatic animals move about during the year, seeking out colder or warmer water depending on whether they are breeding or searching for food. In Belize, if you’re looking for whale sharks, you should plan a trip during the high season from April to June. During this time of year, the whale sharks tend to congregate along the southern barrier reef. Unless you have all of your own gear, you’ll want to understand what is available to rent once you arrive. Most liveaboards will arrange a full setup of rental gear for you, but you’ll want to ask ahead of time to make sure understand what is available, especially if you have any special requests. Does the rental include a dive computer? What type of bouyancy control device (BCD) is available? Are the weights integrated or added to a weight belt? Holly is a Colorado and Montana-bred freelance writer who loves travel, the outdoors, and stories of adventure. She particularly enjoys trail running, backpacking, yoga, any kind of snow sport, and SCUBA diving. She writes about her outdoor adventures, pursuit of intentional living, and love of reading at her blog and is also active on instagram.